19 Best Foods to Increase White Blood Cells - Top Foods Recommended! 19 Foods To Increase White Blood Cells –The Secret Behind Boosting White Blood Cells Naturally! Here are 19 best foods to increase white blood cells from which you can choose to consume at least one variety a day to increase your white blood cells count and get back to your normal health. Does your report show a WBC count that is highlighted in black? If the WBC count on your medical report is not in between 4000 and 11000, and your reports show this count highlighted in dark black, it could be an indication of a low WBC count. But, you need not panic! Ease down! Because these healthy foods are to your rescue. Why Do You Need An Adequate WBC Count? Did you ever wonder what protects you from a frequent attack of flu and virus? While everyone around you is sick, you can sometimes stay unaffected. This is because of white blood cells that fight with the microbes to keep you away from diseases and infections. A frequent attack of cold, cough and fever, a weak immune system or the symptoms of blood in stools, frequent urination, diarrhea, frequent infections are all warning signals to indicate that the WBC count is lower than normal. So, now you know the importance of white blood cells in your body and why you need to include foods that build white blood cells in your diet! Let us work towards increasing the count! If you are looking for the quickest way to increase your white blood cells count, citrus fruits should be the first foods in your priority list. This is because vitamin C in citrus fruits boosts the number of white blood cells. Consume more kiwis, lemons, oranges, grapes, blueberries, strawberries, blackberries, cantaloupes, raspberries, cranberries, watermelons and mangoes to keep up your immune system. Consuming foods rich in omega -3 fatty acids improves the working capacity of the cells present in the immune system, particularly the functioning of lymphocytes and this is the most significant benefit! It is because B-cells, which are a type of lymphocytes produce antibodies, which help in the eradication of bacteria and virus. This characteristic makes omega-3 fatty acid containing delicacies one of the best foods to increase white blood cells. Go for seafood such as mackerel, sardines, tuna, salmon, cod liver oil, canola oil, herrings, oysters, anchovies, flax seeds, chia seeds, walnuts, soybeans to witness a quick rise in white blood cells count. Brussel sprouts contain Vitamin C to boost your immune system and antioxidants to fight free radicals (Free radicals are responsible for damaging the healthy cells and making your immune system weak). In addition to this, Brussel sprouts also contain omega-3 fatty acids, zinc, folate, vitamin k, iron, calcium, choline, vitamin C, phosphorous, potassium, copper, vitamin B-1, manganese, and fiber. Studies have also proven that consuming Brussels sprouts on a regular basis stabilizes your DNA and protects your DNA from further damage. 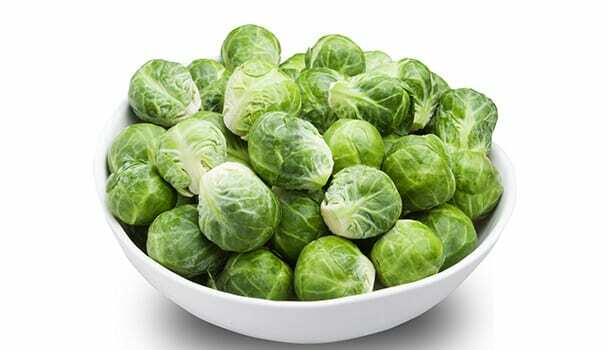 This gives you a perfect reason why Brussel sprouts make one of the best foods to increase white blood cells. Out of all the foods to increase white blood cells, tomatoes are the quick fixes and they help you solve your problem much fast because they are highly rich in antioxidants which help in a quick surge of white blood cells. The three prominent nutrients of tomatoes that help in boosting your immune system are Vitamin C, Vitamin E, Beta-carotene, all the three components being antioxidants. Thymol which is a component of the herb thyme contains healing properties which can fight infections and boost your immune system. Your body can produce histamines as a spontaneous reaction towards allergic reactions. But thyme contains quercetin which suppresses the activity of histamines. 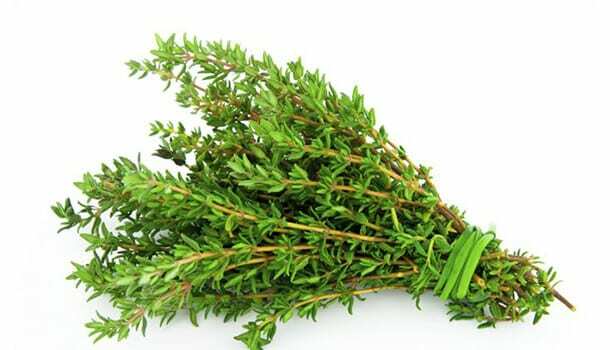 Also, thyme contains antioxidants which prevent any damage that may occur to the DNA present in lymphocytes which are a part of white blood cells. Here Is How To Prepare A Tasty Thyme Tea? Heat 2-3 cups of water in a saucepan. Add a handful of thyme leaves to the boiling water. Cover the saucepan with a lid and let it boil for 5 minutes. Remove the lid after 5 minutes and use a mesh or a sieve to separate the tea from the leaves. You can discard the leaves. Add a tablespoon of honey and squeeze a fresh lime into the tea for making the tea sweet and appetizing. These variety of capsicum are a perfect pack of antioxidants which makes them the best foods to increase white blood cells. Apart from this, red bell peppers contain vitamin C in such a huge amount, consuming just half cup of red bell peppers (contains 190 mg of vitamin c) in a day can help you meet the amount of vitamin C that should be consumed in one day which is 60-90 mg.
Also, red bell peppers contain folic acid which helps in a healthy cell division and helps in making up of the genetic material. If you are looking for the spicy and tastiest foods to increase white blood cells, red bell peppers are the way to go! Spinach and broccoli are the best varieties you can choose to increase your WBC count. Apart from being a rich source of vitamin C(28 grams in 100 grams), spinach contains beta-carotene, anti-oxidants in huge amounts which are the most wanted components to boost your immune system. Broccoli is a great powerhouse of antioxidants and other vitamins A, C, and E, which is why broccoli is the best leafy green food for white blood cells increase. Why Choose Other Leafy Greens? Broccoli and spinach undoubtedly make the best foods to increase white blood cells, but here’s the reason why other leafy greens should be included in your plate! Aflatoxins and xenobiotic are the toxic substances that are naturally produced in our body. Leafy greens contain a group of enzymes called GSTs which help in eliminating such harmful substances from the body. Phytochemicals present in leafy greens protect your cells from damage, thereby boosting your immune system. 8. How To Increase White Blood Cells Choosing The Best Vegetable Oil? The type of cooking oil that you choose has a significant impact on your health because cooking oils are a part of your daily diet. So, you need to be picky about the type of vegetable oil. Vegetable oils contain Vitamin E which is the most vital antioxidant that fights various diseases and infections. They contain Omega-3 and omega-6 fatty acids which improve the functioning of immune cells. Consuming 10 almonds in a day can help you fight infections and provide your body with required amounts of proteins, magnesium, manganese, fiber,copper and Vitamin B2. Vitamin E present in almonds is an antioxidant that fights with the free radicals and prevents the damage of healthy cells and tissues. You just have to ensure that you soak the almond seeds overnight because the process helps in the release of a digestive enzyme called lipase which assists in a much better digestion of almonds which is why most people consider eating soaked almonds rather than consuming them raw. You can carry a pack of sunflower seeds to munch on them whenever you feel an urge to grab on some snacks! These seeds contain an important element, selenium which fights the infections by abolishing the free radicals. Selenium also improves your metabolism by improving the functioning of the thyroid hormone and improves the chances of fertility. Apart from selenium, the presence of vitamin E in sunflower seeds makes them the most chosen seeds for improvising the immune system. Also Find: How Sunflower Oil Benefits Health? 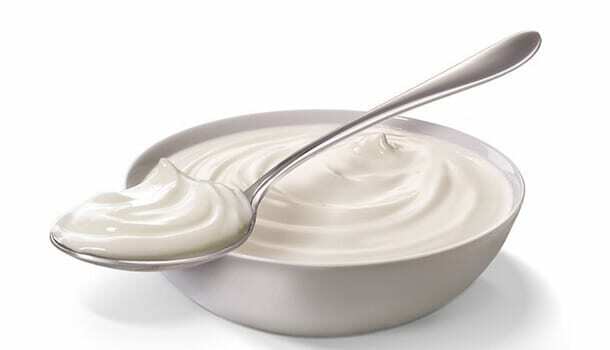 The three main components of yogurt which makes it the best dairy food to increase white blood cells are probiotics, zinc and Vitamin A.
Probiotics are a kind of healthy bacteria that helps in increasing your resistance power because this type of bacteria eliminate the harmful ones from your digestive tract and keep your gut and overall system healthy and clean. The presence of Vitamin A and Zinc along with probiotics make your body tolerant to various infections and diseases. If you wish to relish yogurt sweet and flavorsome, you can add a tablespoon of honey or top a cup of yogurt with some healthy fruits and nuts. 12. How Garlic Boosts Your Immune System? Most of us choose garlic to get rid of cold and flu very quickly because we believe that they generate heat in our body and show a quick active response against inflammation. It is true that garlic acts as a quick remedy to cure a cold and flu, but this ingredient also prevents the onset of infections in the first place. When garlic is ground or smashed, alliin present in garlic gets converted to allicin which is why garlic gives a strong and pungent odor along with a distinct flavor and the taste. If you have been a coffee or tea addict, it’s time to change your taste preferences because the best caffeine free, an antioxidant-rich beverage that promotes weight loss and improves your immune system is green tea. The presence of catechins in green tea which is a type of natural antioxidant makes the tea the best and healthy beverage to boost the immune system. Papayas are a great source of vitamin A and Vitamin C both of which are the important nutrients to boost the immune system. The intake of papaya fruit helps in the production of antibodies which fight with the antigens and protect your body from the invasion and attack of various micro-organisms. A fresh papaya juice made from the leaves is easy to make and consuming the juice on a daily basis is an easy way to increase your white blood cells count. 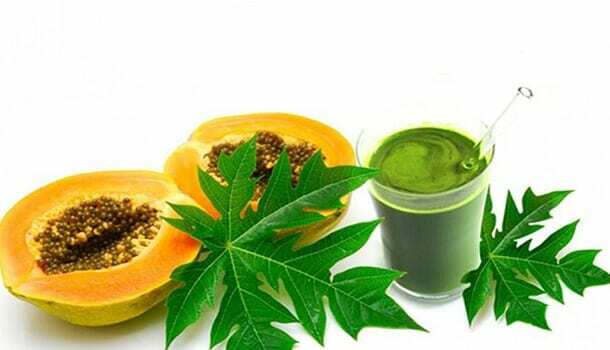 How to prepare papaya leaf juice? Take some fresh papaya leaves in a bowl and rinse them. Let the water absorb the essence of the leaves. Add a tablespoon of honey and add a fresh juice of lime if you don’t like the bitter taste. There are a wide range of shellfish available from which you can choose one variety of foods to increase white blood cells. 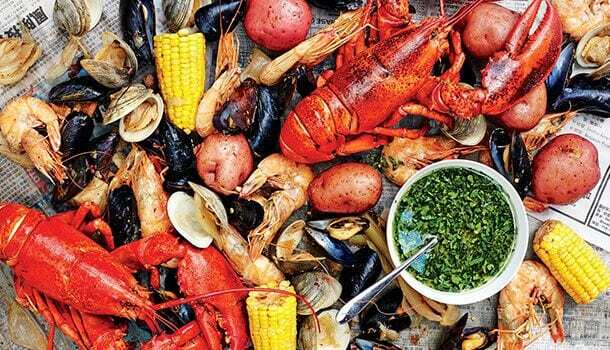 Shellfish contains zinc in huge quantities which is important for a healthy development of cells and tissues. Beta-carotene present in sweet potatoes gets converted into Vitamin A. Also, Vitamin C present in sweet potatoes helps in the stimulation of antibodies which fight the free radicals and reduces the risk of various diseases. Consuming sweet potatoes at least once a week can reduce the risk of cancer. If you are looking for a quick result, you can consume purple sweet potato leaves because research has proved that these leaves can increase the production of antibodies and enhance the response of the immune system. To make a regular habit of consuming sweet potatoes, you can boil sweet potatoes in water, peel off the skin and consume them after your breakfast or lunch once or twice in a week. 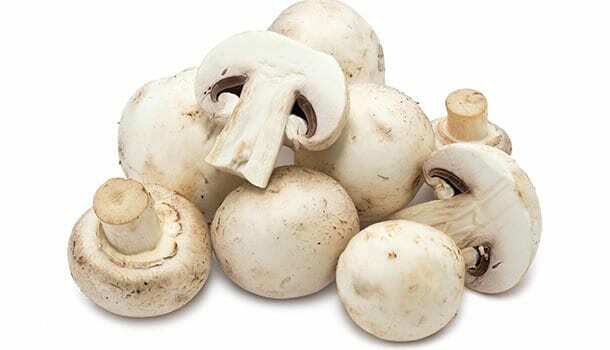 As you plan to include some regular foods into your diet, you can try relishing this famous and most healthy variety of mushroom which is said to be one of the best kinds that help you fight infections. Maitake mushrooms which are also popularly known as dancing mushrooms are rich in antioxidants, potassium, Vitamin C, Vitamin B, amino acids, copper, beta glucans and more importantly antioxidants which fight the free radicals and support in stabilizing your overall health. You can also find supplements of maitake mushrooms (in the form of capsules) but you must consult your doctor before including the capsules in your diet because the dosage varies based on many factors. If you are a chicken lover, I bet you will love chicken soup for its delicious taste but you will make it a part of your low white blood cell count treatment diet after knowing the potential benefits of this tasty soup. Most of the people suffering from cold and flu are suggested to savor chicken soup and it is said to show an immediate effect in reducing the cold symptoms and providing a relief. This is because chicken soup contains antioxidants, along with phosphorous, Vitamin A, Vitamin C, and gelatin. A regular consumption of chicken soup can reduce the frequency of cold and fever attacks because of its rich nutrient properties that strengthen the immune system. Buy yourself a few avocados and you will be all set to taste these healthy fruits in varieties of ways. You can use avocados in sushi rolls, soups, salads, pickles, and smoothies, toppings, along with scrambled eggs, desserts, sauces or fries. The rich properties of Vitamin A, Vitamin C, Vitamin E, and antioxidants make these fruits the best source of foods to increase white blood cells.